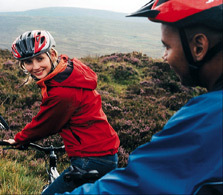 CycleWest Ireland’s self guided, luggage free bike tours take you to some of Ireland’s best and most unexplored destinations. 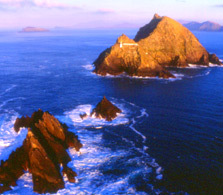 New for 2015 we take you to the rugged and unspoiled SouthWest of Ireland with our Beara Peninsula tour in West Cork. 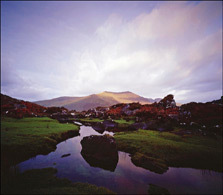 The Dingle Pensinsula is a special destination that also features along with the Ring of Kerry. 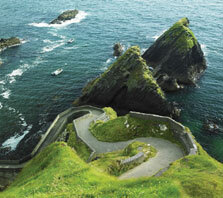 We follow the Wild Atlantic Way along the scenic coastline of the West of Ireland. 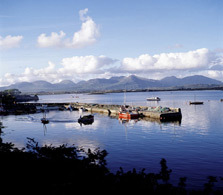 Our more popular trip in Connemara has it all: great craic, culture andtraditional music abound. 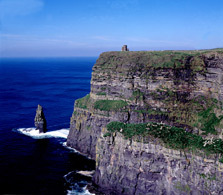 Looking for something different ~ why not discover Northern Ireland on our Causeway Coast and Glens tour? Come join us! Carefully designed to suit your travel needs and dates, we take care of of the details so you are free to immerse yourself in the local culture and not to be missed scenery. Pedal at your own pace, luggage free and discover the beautiful sights, sample the local fare, take time to walk on a sandy beach and stop to absorb the breathtaking landscapes. Choose your dates and take advantage of a flexible schedule. Be inspired by the world heritage site of Giants Causeway; take a walk on Carrick-a-Rede Rope Bridge and explore Rathlin Island or sample some Irish Whiskey at Bushmills Distillery while cycling through spectacular scenery. 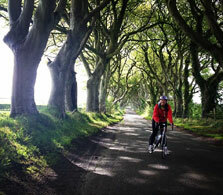 Our Iconic Causeway Coast and Glens of Antrim Bike Tour offers a fairytale landscape of leafy glades and tumbling waterfalls. Brought to the worlds stage by the Game of Thrones, the dramatic and world famous coastline is home to no less than three designated Areas of Outstanding Natural Beauty. 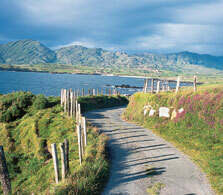 8 Days/ 7 Nights, Self Led Bike Tour, €1050 per person sharing. Our West Coast Adventure is an extraordinary Irish biking experience and has been designed with escape, elegance and unique landscapes in mind! We offer you the opportunity to explore and contemplate life to its fullest, away from all the hustle of everyday life. 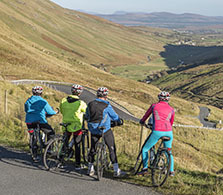 Our West Coast Adventure offers you a biking trip through the spectacular vistas of Galway Bay, the historical Burren, the Aran Islands and scenic Connemara. Self Guided Luxe Bike Tour, 6 days / 5 nights, Euro 1195.00 per person sharing. Sustenance for the body as well as for the soul! Blazing a new trail in the West of Ireland, this rewarding new bike trip presents a wonderful variety of luxury accommodations and award winning gourmet delights, combined with personal hospitality. Additional benefits are the stunning settings and vibrant culture. Self Led Luxury Tour, 7 days / 6 Nights, Euro 1595.00 per person Sharing.